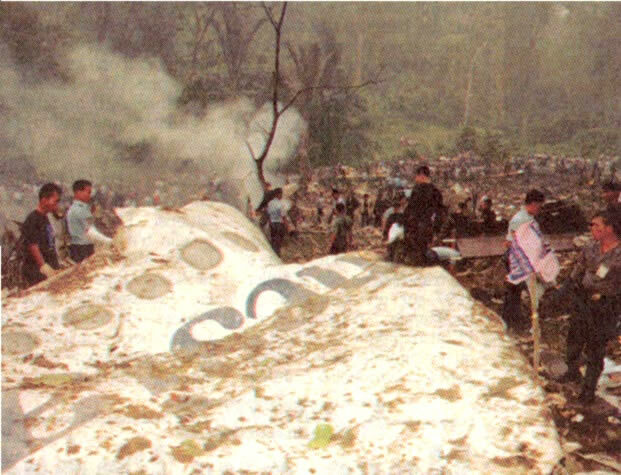 The aircraft crashed into mountainous terrain 15 minutes before it was due to land at Medan on a flight from Jakarta. The aircraft crashed 20 miles from the airport. ATC error in directing the plane in the wrong direction into mountainous terrain that was obscured by smoke and haze due to forest fires in the area.